Americans held $17.6 trillion in retirement assets at the end of 2007, up $1.1 trillion from year-end 2006, according to a report from the Investment Company Institute (ICI). It was an increase of $1.1 trillion from year-end 2006 (see Retirement Assets Continue Growth in 2006). ICI reported in the 2008 Investment Company Fact Book that strong growth in Individual Retirement Accounts (IRAs) and employer-sponsored defined contribution plans powered the 7% increase. At year-end 2007, investors held $9.2 trillion in IRAs and DC plans about half of the entire retirement market, ICI said. 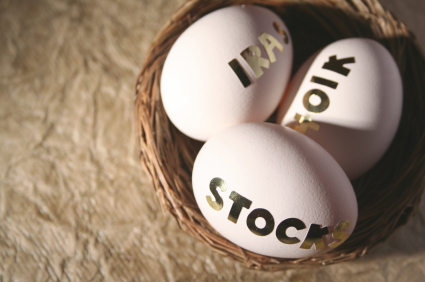 IRA assets rose 12% to $4.7 trillion in 2007. Of those assets, $2.2 trillion were invested in mutual funds. Assets held in DC plans rose 8% to $4.5 trillion, with $2.4 trillion invested in mutual funds. The most popular type of DC plans were 401(k)s, with $3 trillion in assets. Mutual funds managed $4.6 trillion or 26% of retirement market assets. The remaining $13 trillion of assets were managed by pension funds, insurance companies, and brokerage firms. More than 90% of mutual-fund owning households reported that they are saving for retirement. Three-fifths of mutual-fund owning households invest in funds through an employer-based retirement plan such as a 401(k), and 57% of the households that own mutual funds purchased their first fund through an employer-sponsored retirement plan. Net new cash flow into lifestyle and lifecycle funds reached a record $92 billion in 2007. Assets in lifecycle funds rose 61% to $183 billion, and 88% of these assets were held in retirement accounts. Assets in lifestyle funds reached $238 billion, of which 45% were held in retirement accounts. 401(k) assets invested in mutual funds are concentrated in lower-cost funds. More than three-quarters of the 401(k) assets invested in stock funds are invested in funds with expense ratios of less than 1%. ICI publications can be accessed here.